Description: Amazing total renovated home with all the bells and whistles! New granite, stainless steel and professionally painted european style kitchen cabinets! 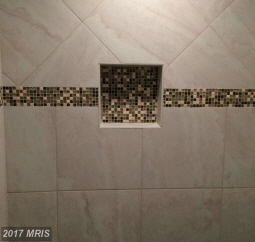 Upscale mba renovation to include high quality tile throughout, invisible shower doors, stand alone bear claw soaking tub, new plumbing & lighting fixtures and new double vanity. Guest bath also remodeled with all new appliances. New hvac system!